Today I spoke with Professor Molly Babel of UBC. Our conversation was about interaction, and how we create predictions and expectations when we meet people. These predictions and expectations can help us to get on the same “wavelength” as our conversation partner, or they can make us “tune-out” before we’ve even heard them speak. So, please enjoy our interview. It has a little of everything you’d expect: research, stereotypes, LEGOs, and Lord of the Rings. MI : As an introduction, what do you study about language? MB : What I study is how we deal with phonetic variability in spoken language; both from the way that we, ourselves, perform and produce it, but more from the side of what we as listeners do with the variation in other people’s voices. Or to put it more simply: how do we handle the fact that everyone sounds different? Also, how do we manage the fact that some of those differences in the way other people sound are socially meaningful, but others are just background that we can choose to tune out. MI : How do we relate to our society through our speech, and that of other people? MB : Our knowledge of people and society manifests itself in speech in two ways: through how we perform speech ourselves (speech production), and through our expectations of how we think others will perform speech (speech perception). From the moment we open our mouths, we reveal our social and individual characteristics. Our voices provide subtle and not-so-subtle cues to gender, age, where we are from, our emotional state, etc. We change our speech patterns to fit different social contexts: we don’t speak the same way to family or strangers, infants or our same-aged peers, friends or authority figures. These changes are gross reflections of formality, in some cases, but we also make style shifts that are more personal and reflect our social identities. As listeners, we make associations and come to expect certain speech patterns from certain individuals or groups of individuals. For example, we scale our expectations for acoustic dimensions like an individual’s pitch based on whether they are male or female because we have learned that men generally have lower-pitched voices than women, as men tend to be comparatively larger in size. Learning these patterns helps us efficiently process voices we have never heard before. But, these learned patterns can also veer dangerously into the territory of stereotypes. MI : How do we build our expectations of how we think someone will perform? And how do we react when we’ve judged the style incorrectly of both our production and theirs? MB : Well, for example, you would know some things about me before you heard my voice. You would build a rough assumption of how I would sound based on your previous examples of speaking with other professors. We also constantly update those expectations. A student and I recently published a paper about these issues (Babel & Russell, 2015). We took 12 locally-born BC residents. 6 were white Canadians, and 6 were Chinese-Canadians; all were locally-born, and all were native English speakers. We created an intelligibility test by having all of our 12 speakers read sentences. Then we added background noise to those sentences; otherwise understanding them would be too easy. We then presented listeners with trials where they saw a photo of the face of the speaker, and others where they didn’t see the photos. We had 40 UBC students do this experiment. When they didn’t the photo of who they were listening to, everyone was roughly equally intelligible—there were no differences. However, when people saw the pictures of the speakers then intelligibility of the Chinese-Canadians went down. So while this is a sad finding, we think it is important to discuss in a public space. We did many analyses with this data, and the results suggest that people just expect Canadian-Chinese speakers to have a non-native accent. This is an example of a kind of expectation that is bad. The expectation that you might have before speaking to me that I’m female, that I’m roughly a certain age, or going to speak within a certain range of frequencies; that’s good because it helps you understand me. So your question about expectations, and how we update them, is a huge one. One of the things we’re going to look at next is how long does it take people to say, “OK these Chinese-Canadians do not have non-native accents. I can go ahead and process this speech the same way I would for any other local speaker”. MI : So is it that the listener would be expecting to have difficulty, and then have to stop and correct that misjudgement? So, for example, if you first heard my voice, and I had an Australian accent, there would be a “hey-wait-a-second moment” on your end, and you would have to stop and readjust your expectations. Another study I’m hoping to do is to look at how much of those expectations are based on race and ethnicity. Are people better able to pick up on whether a speaker has a local or non-local accent based on what they look like. In other words: how much of our expectations of who sounds like a Vancouver-Canadian-English speaker is based on being white. One of the ways that, to go back to your first question, I would describe what I’m doing is looking at how stereotypes and prejudice affect us in real-time for spoken-language processing. Often, those are sad results, but those are important results; because they actually impact people. MI : How do people close (or widen) the distance between themselves and others in a conversation through their speech? And what are we “saying” by closing or widening that distance? MB : If someone wants to decrease the social distance between herself and an interlocutor [The person she is speaking with], she can increase the similarity of their speech patterns through a process called convergence. Say she wants to increase the social distance – she can diverge her speech patterns, making them less similar to those of her interlocutor. We make these kinds of changes in conversation to grease the social wheels of interaction. We can definitely close or widen the gap between us and our conversation partner. I’ve been at dinner parties where I’m happily talking with someone, we’re definitely moving toward a middle ground between our two speech styles, and then they say something that I disagree with or might find offensive. Then I become a completely different person in terms of my speech style for the rest of that conversation. MI : Do you feel that this is done automatically, or is it something that is learned from seeing others do it? MB : This is a complicated question. To some extent, we engage in these patterns of accommodation automatically. We certainly don’t say to ourselves, “a-ha! In order to get what I want in this situation, I’m going to shift my vowels to match this person’s.” On some level, we might consciously be aware of admiring a person who we find ourselves imitating. There is evidence that imitative linguistic behaviours are part of how we learn language, but we certainly learn how to use accommodative strategies in socially appropriate ways. Overly converging with someone’s speech patterns is a great way to alienate someone. What I mean by that is that it can sound fake, or overly manipulative. In many ways, all of these different types of accommodating one another while speaking are means of manipulating one another. However, you can certainly overdo it, or be too obvious about it. MI : How do people perceive the speech of others that are particularly similar, or especially distinct from their own accent/dialect? MB : Group membership is important to us as people, and identifying others as in-group (members of our social groups) and out-group (not-members of our social groups) is something we do. When we hear individuals who sound like us, we positively evaluate them, in part because they are part of our in-group. Accents and dialects that are different from our own often, but not always, come with social labels. For example, many speakers of North American English perceive many British varieties of English as more intelligent-sounding. This is based on stereotypes we have created, not because of anything inherently intelligent-sounding in British English. If you a watch a film, in many cases the hero or most attractive looking character will speak the most standard variety of that language. I recently rewatched the Lord of the Rings movies, and Aragorn and Legolas, who are both handsome and heroic, speak with Standard English accents. Gimli, a dwarf, is arguably less attractive and less of a main character – he speaks with a less standard accent. Media helps perpetuate and feed stereotypes and associations about accent. MI : Are there things beyond the way someone is speaking that shapes how they are perceived in a conversation? 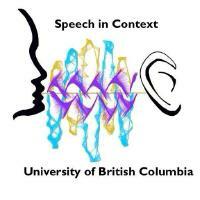 MB : Speech and language is just one of many social signals we use to evaluate others. How we dress, what we smell like, our posture, our facial expressions – these are all social signals we present and that others use to evaluate us, for better or for worse. For example, if someone wears a lot of cologne or perfume that will trigger certain judgements about that person for us. MI : How do you collect the speech you use for your research, and how important is it that that speech be “natural” or by a speaker who is at-ease and comfortable? MB : We use different methods of collecting spoken language for different types of projects. Sometimes we have people read words or sentences. Sometimes we have people tell stories along with video prompts. Recently, Jen Abel, one of my PhD students, collected speech from pairs of individuals who were playing with LEGOs together. By working on a given task together, the two individuals [who don’t know one another] have something to keep talking about, which avoids awkward pauses and silences, and produces more natural speech. It is important for linguists to study many different styles of language, as language is a multi-faceted and diverse system. The different styles show us the range of things speakers know about their language. MI : What would you like to do next with your research? MB : Some of my students’ and my more recent projects have been looking into our linguistic expectations and predictions. Our expectations and predictions about upcoming linguistic events are based on linguistic or social knowledge and we want to know how those expectations interact with what we actually experience to give us what we ultimately perceive. MI : What is your favourite part of your work? MB : The best part of my job is being able to curiously engage in the process of discovery. We have a lot to learn about how speech works! A sincere thanks to Molly Babel. Professor Babel’s work has produced some discomforting results about stereotypes and judgements. However, they are very important findings because they are part of our daily reality, and affect people continuously. The importance of our perceptions and expectations when speaking with others is that the stereotypes can be useful (they can help us identify situations and emotions), and they can also be hurtful, as her research has shown. While we don’t consciously think, when we are introduced to someone, of an expected frequency in their voice, our brains are making that leap. Our brain can also subconsciously make negative leaps, so by being more conscious about how we form our conceptions of others can help us reduce the harm we might unintentionally cause. It’s not easy, but we can all agree that reducing hurtful stereotypes is a good thing.